It’s hard to believe that the winter season is upon us! When I started my Sew Geeky project back in January, I was quite ambitious with my goals for the year. My spring capsule was fairly well rounded out, though I’m still excited by a few of those plans that never quite got started, my summer goals were a total whiff, and my fall plans led to a few finished projects. In my mid-year assessment, I discussed how doing this project led me down the rabbit hole of Kibbe style IDs (and now has me writing an epically long blog post series) and has caused me to pull back and reconsider my own personal style needs. I think doing the Sew Geeky planning helped a lot with that, as well as helping me figure out that I actually enjoy planning things in terms of a full wardrobe. I think I still need to work on making coordinating pieces that work well together, but that’s going to be more of a goal for next year. In the meantime, I wanted to at least share the planning I did for my Winter Sew Geeky capsule, the theme of which is Doctor Who! My full Pinterst inspiration board is here. I started watching Doctor Who about five or six years ago. I took an online “Who Class,” so at this point I’m fairly well versed in both the classic and new Who shows. I haven’t seen everything, but I’ve seen at least some of all of the doctors. Since I know everyone is going to ask in the comments, the Second Doctor is my favorite. You just can’t beat Patrick Troughton! But of the new Doctors, my favorite is Tennant. Not because he is Tennant, but because that was the Doctor who got to deliver the line about running away from the enormity of the universe in a blue box, and that really resonated with me at the time. It’s the first moment when I really fell in love with the show. I love all the Doctors, though I do have my fair share of criticisms of the writing and show direction at various points of its existence. Of course, for a shows that’s surpassed its 50th anniversary that would be expected. Heck, I have criticisms of shows that have run a tenth as long! It’s the nature of being a nerd, I think. Realistically, I don’t know how much of this is going to actually get sewn this winter. I’ve got a lot of commissioned projects I want to finish by January, and I’ve got a fair bit of travel coming up, and other things pulling my attention. And, honestly, I’m sort of looking forward to starting my sewing off on a clean slate in 2019; I’d love to finish my UFO coat that’s been sitting in my sewing space for well over a year now, so that might be my actual focus for the end of the year making. If I have time though I may try and pull a few inspirations from this list to round out my end of fall/start of winter sewing plans. 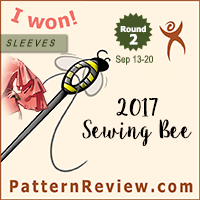 I’ll post my full thoughts about the success and shortcoming of my year long Sew Geeky experiment in my traditional end-of-year wrap up at the end of December. Until then, happy sewing! Exciting! Can’t wait to see what you do! Really like the color scheme too… Gotta try this one day. Nice selection! I’m all about the funnel neck tops right now, and I like the look of that raglan sleeve one you picked. Have you tried the Talvikki Sweater? I love the darted neckline and might try adapting it to a more fitted body. No, I haven’t tried it, but I think your idea could look really cool! I love your pattern selection for this. Another Doctor Who fan here, although much more into classic Who than New Who. I like it much more in the show than the promotional photos. I find that it calls to mind the 4th Doctor, which makes sense if you consider that Capaldi’s costume is reminiscent of Pertwee, and Smith’s bow tie is from Troughton. I was a bit disappointed at first, but I find I like it more and more as the show goes on. Also, I think she is doing a brilliant job in the role, so I’m enjoying the show a lot right now regardless. So been waiting for you to do this and I’ve been dying to ask your opinion of Jodie Whittaker as I’ve heard it’s not going down too well in the US, so it’s great to hear you like it but I wonder how are you coping with the accent? Sheffield is down the road from me. Costume wise I actually preferred her in Capaldi’s cast offs. Re your sewing plans I really like the jacket with the hood attached, that’s been on my radar for a while. As an aside Pertwee is my favourite! I’m a Troughton fan myself, but I love Pertwee too! As for the accent I’m not having too much difficulty? But to put things in perspective I studied math/science in college, so I had to be really adaptable at picking up accents. Comparatively, anything out of the UK really isn’t that bad for me to understand. I haven’t been paying attention to reviews, but I really love the direction the show is taking. You get to travel everywhere in time and space, so I think it’s brilliant they are using that to look at really interesting/controversial/difficult topics and handling them with dignity and respect. And aliens, you know, as you do. Doctor Who has always provided social commentary, but they really aren’t trying to disguise it in this season, which is pretty refreshing. The Fehr Trade Surf-Summit top is a terrific funnel raglan with awesome drafting. I grew up on Doctor Who, both in the UK and here in Oz too. I used to jump behind the couch whenever the daleks came on. Nothing else was nearly as frightening. The doctor’s of my youth were Tom Baker and Jon Pertwee. I still want Baker’s scarf. What a cool project! I’m so excited to see your Doctor Who capsule wardrobe!! 100% with you on the Doctor Who love, by the way, it’s my favourite show! I really enjoyed planning this out, but I have very low probability of making anything from this capsule. 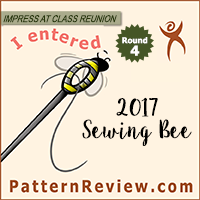 I will detail more in my year end wrap up posts, but I recently had to take on some additional “work” responsibilities and haven’t had much time for personal sewing.